Louis Vuitton’s new Pixel Collection uses digital a springboard for whimsical nostalgia. The pixelated design scheme stands out from the company’s typical offerings; on a few pieces, the telltale logo has gone nearly clandestine. 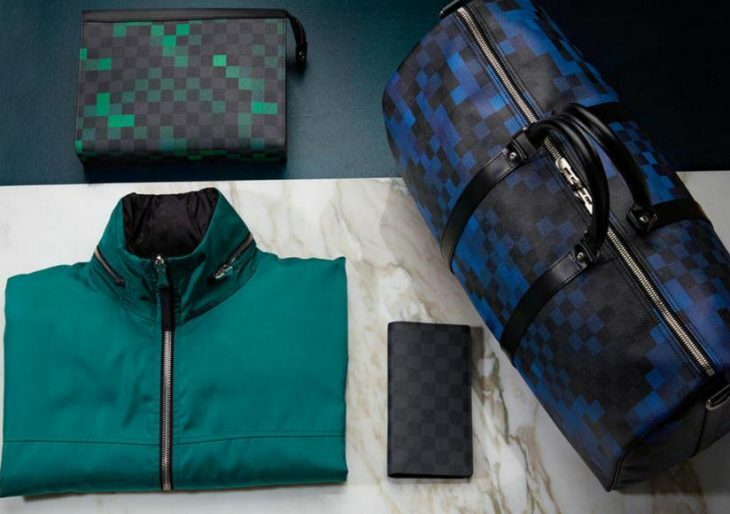 But, thanks to high-end materials and design experience ranging back to the mid-1800s, LV is able to blend fun, innovation, and style once again. The playful Pixel print has been applied to a variety of classic LV pieces, including wallets, belts, toiletry bags, backpacks, overnight bags, and more. The collection also features a number of clothing pieces like sweaters, jackets, and jeans. Each item in the collection is crafted from signature LV materials and accented with rich, contemporary colors for a modern yet timeless look. Travelers, in particular, can explore in style with the perfectly sized Pochette Voyage in Damier Graphite Pixel Canvas or the larger Christopher Backpack in Damier Graphite Pixel canvas. Chez Vuitton’s Pixel collection is pixilating customers at boutiques now.